Does Traffic Mice Work or is it a Scam? I received an email from an online marketer promoting Traffic Mice today. While it sounded too good to be true and my skeptical side arose, I still decided to look into it to find out if it does work or if it’s a scam. I’m not going to be promoting this product (for reasons shown below) so what you’ll find here is a completely unbiased report. As I understand it, it’s a program which helps you rank your YouTube videos higher than it’s competition, thus receiving a lot traffic to them which allows you to promote products through the videos themselves or link back to your website thus giving you backlinks and your site more authority. Now it is important to understand that Traffic Mice is not designed for websites. It’s designed to help your YouTube videos compete with other videos and at the same time appear higher in search engines. There’s really 4 parts to it (5 if you include the settings tab). Here you find a keyword that you wish to rank under. 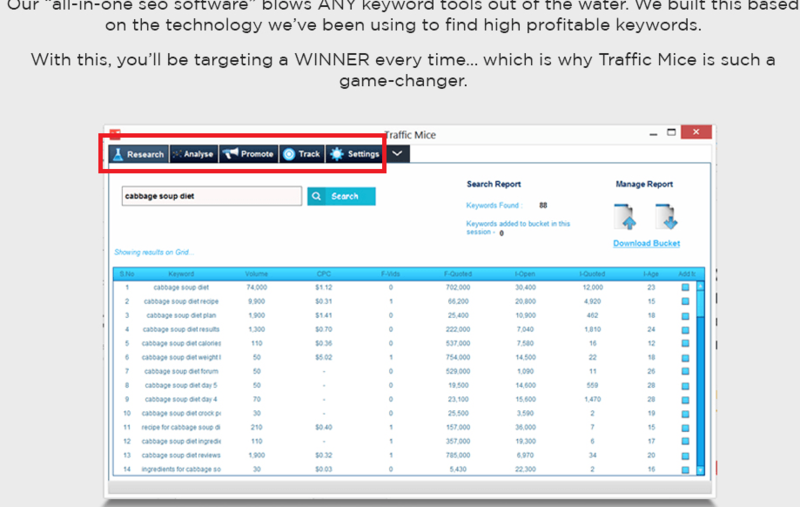 This feature of Traffic Mice is basically a keyword tool where you type in any keyword you want and you will get stats on it. However in addition to the common stats such as monthly traffic, competition measurements also come unique metrics which will help you identify if the keyword you’re interested in is possible to rank high under. These metrics aren’t actually going to come from SERP results, but competing YouTube videos that are also chasing that same keyword. Long story short, you’re competing against other people’s videos, not websites. This part digs far deeper into what you do in part I. Instead of the keyword being analyzed, you will now have a list of YouTube videos being shown to you that are ranking for your chosen keyword. There are going to be additional metrics shown in this part such as the number of incoming backlinks to the videos. Supposedly if it’s under a certain amount, you can make a video and have it rank higher than the competing videos through Traffic Mice’s service. This is where I got a little bit confused. In this feature, you add content, either your own or use a program called SpinRewriter, some sort of article spinner which I’m personally not a fan off because I feel it’s a bad approach to SEO. But in this part, I assume the content you add is going to be distributed through different areas including RSS feeds to get backlinks to your video. Based on what I got from Traffic Mice, if your video has more backlinks than it’s competition, it will outrank in the YouTube search engine and pop out higher in Google. This will help you monitor how your videos are doing. If you have multiple projects utilizing this tool, all of their progress reports are found in this feature. 1. It’s the whole approach of backlinking and article spinners they endorse which is the main reason I am going to have to say no. I feel this approach to SEO leads to more harm than good in the long run. I will say this though: While I am NOT a fan of backlinking in general, when it comes to utilizing YouTube, that is ok. However, I question Traffic Mice’s approach to the topic because in my opinion it’s basically taking a backlink approach to ranking websites and now applying it to YouTube videos. Since this kind of method is still new, I can see it working, but in my personal opinion, I really feel like Google will bring down the hammer on this method as they did with backlinking for SEO. In fact, I have no doubt in my mind this will happen sooner or later and the main reason is because this program is basically trying to “play the system” which is what will ultimately lead to negative effects. 2. I assume there’s up-sells. As far as I know, there’s one for about $50, but I wouldn’t be surprised if there were more. Typically programs like Traffic Mice which basically hype themselves up so much, then charge so little ($27 one time offer at this time) is usually a sign there’s going to be other up-sells once you buy the product. I’ve been around the block too many times to know better. This can definitely work, but all results in my opinion are short term. The product is not a scam because it does what it promises, though results obviously vary. Not for people who don’t like making YouTube videos. The backlinking/article spinner approach in my opinion is a risky approach to SEO. It’s not worth risking so much potential traffic from YouTube when you could make great videos on your own, see an example. 3 out of 10 stars. I feel results do exist with this program, but are short term. I’m more for running a sustainable business and I don’t think this program will help in that regard. 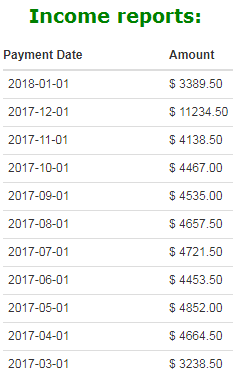 If you’re looking for long term results, this is a better approach. Whenever a program comes onto the online marketing world promising fast, automated, easy results, I immediately become skeptical of it. That’s what tons of bad experiences and reviews will do to you. Typically and by that I mean 95% of the time (and that’s a conservative estimate), the product is not as good as it sounds. 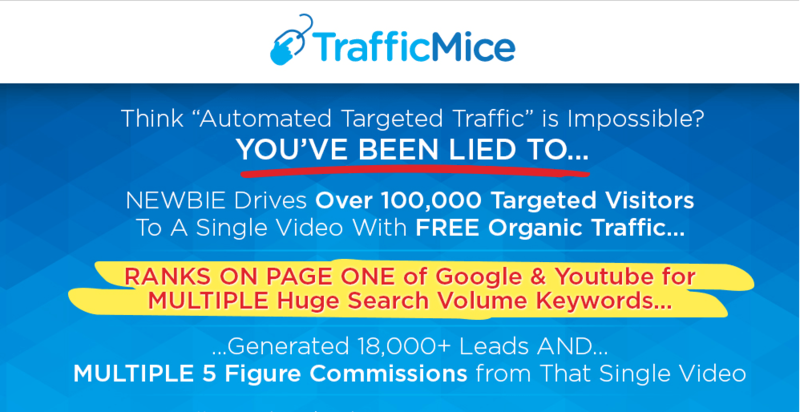 With Traffic Mice, I see a lot of similarities between the previous hyped products I’ve reviewed and this one and although I have not personally tried it and do believe the system does have potential, I’ve seen similar situations where products and strategies to online marketing using backlinks and article spinners have led to bad results. So what are the odds the same thing that Google did to people who tried backlinking & using article spinners to boost their sites will do to videos who are caught basically using the same approach? I’ll let you decide. In fairness, I have read that they promise high quality backlinks from this, but I’ve seen/heard this before like Bring The Fresh & that story did not have a happy ending for me. I simply don’t believe this artificial approach to marketing can work long term. Backlinking when done in a way to artificially boost your rankings is BAD backlinking and that’s what I see here. I feel in the end this program’s approach to success will end up the same way backlinking and article spinners for SEO did: Extinct. I could be wrong, but you won’t find me recommending this product. If you’ve personally tried it, agree or disagree with me on this, I’d love to hear your thoughts!